Posted by M Bharath Bhushan in Adilabad, Art, Culture, Deccan, fairs and festivals, Gond, heritage, Hindu, Identity, ST, Telangana. The Adivasis seem to be among the most misunderstood and most exploited lot even if the issue relates to the identity of their religion, a subject which incites much passion among the aboriginal tribes of Central India. 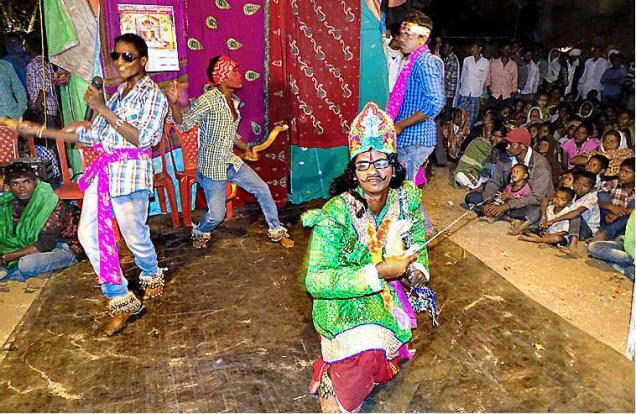 The debate which was generated in Adilabad district during the recently concluded Keslapur Jatara or Nagoba Jatara, the famous tribal fair, not only focussed on the subject but helped expose the developments of the last few decades which had an impact on the religious practices of the aboriginal tribes. Nothing was amiss until anthropologist Christopher von Furer-Haimendorf re-visited the jatara in 1982 and witnessed the changes in the form of worship comparing it with the practice in 1941 when he had first visited it. In his book ‘Tribes Of India, The Struggle for Survival’, Baron Haimendorf noted the construction of the existing temple in the style of Hindu temple and an attempt to seek connections between the Gond mythology and Hindu scriptures and to interpret the mythology in the light of Hindu ideology. Posted by M Bharath Bhushan in Culture, Deccan, fairs and festivals, Gond, heritage, Identity, Koya, Medaram, ST, Telangana, Warangal. 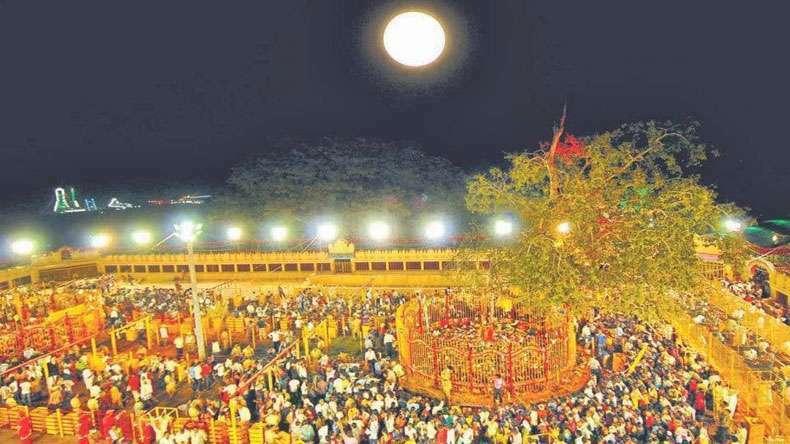 Warangal (Telangana): Hundreds of thousands of people have reached Medaram in Warangal district for Sammakka Sarakka jatara, India’s largest tribal fair, which began on Wednesday. Devotees, both tribal and non-tribal, from different parts of Telangana and other states like Andhra Pradesh, Odisha, Chattisgarh, Maharashtra, Madhya Pradesh and Karnataka are participating in the four-day fair, also known as Medaram jatra. Medaram and surrounding villages in the forest, about 100 km from district headquarters, have turned into sea of humanity for the tribal festival, organised once in two years. Men and women took a dip in Jampanna stream, which they believe wash away their sins. Devotees belonging to different states and speaking different languages throng the forests to pay obeisance to tribal goddesses Sammakka and Sarakka. Posted by M Bharath Bhushan in Art, Culture, Deccan, heritage, Identity, Telangana, Telangana People. Posted by M Bharath Bhushan in Culture, Deccan, Hyderabad, Identity, politics, Telangana, Telangana People, TRS. Did Telangana Get the Short Shrift? HYDERABAD: Even as the Hyderabad Lit Fest 2016 kicked off amid much fanfare, as some of the country’s most distinguished writers descending upon the city, visitors felt a little short-changed with the lack of local presence on day one of the prestigious festival. Considering Hyderabad is playing host to the event, visitors expecting local flavour were instead treated to panel discussions on Singapore literature. The annual event, which is taking place across three days at the Hyderabad Public School, played host to several panel discussions on various topics, including nature, literature, security, cinema, arts and culture – but did not include a single session on Telangana poetry or literature, which was prominent feature last year. 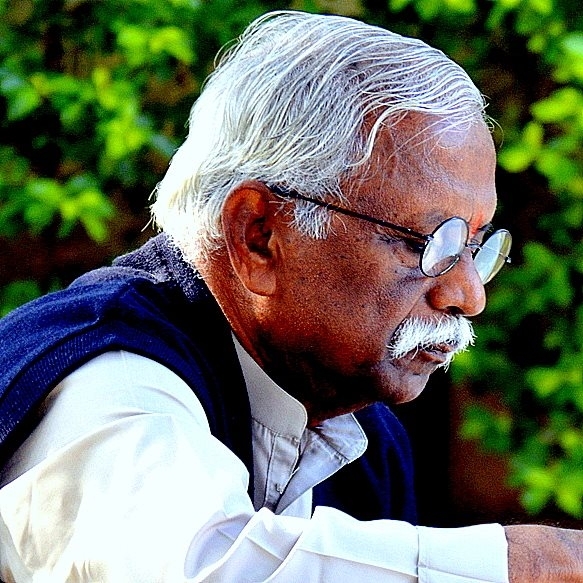 Quelling theories of a lack of local presence during the litfest, festival director Prof. T Vijay Kumar, explained that Telangana literature will be covered during the three-day fest. “There is a session titled ‘Perspectivizing Telangana’ on Sunday, which will be attended by the likes of Gautam Pingle, Rama Melkote, Sajjad Shahid and T Vivek. So we have definitely not neglected Telangana,” he clarified. Posted by M Bharath Bhushan in 1969, Andhra, Culture, Deccan, Hyderabad, Identity, Mulki, Polavaram, Rayalaseema, regionalism, Telangana, Telugu. Posted by M Bharath Bhushan in Deccan, Economy, Rayalaseema, Telangana. Andhra Pradesh is a leading player in paddy, cotton, groundnut, sugarcane, maize, tobacco and chillies. After bifurcation, there would be a stark contrast in the availability of fertile lands and water in the two regions. While the Andhra region is home to the most fertile lands, Telangana is predominantly rain-fed, with uneven distribution of rainfall. The Rayalaseema area is scarce in water resources. After the proposed division, Telangana will emerge as a predominant player in cotton, paddy and maize, with a total kharif area of 81 lakh hectares. Telangana farmers grow cotton in 14 lakh hectares during a normal kharif season. In comparison, the US grows the crop in a total area of18 lakh ha. This shows how important the cotton crop would be for the new State.